MS Dhoni was fined 50 per cent of his match fee for entering the field but some have called it a lenient decision because of his stature. Chennai Super Kings captain Mahendra Singh Dhoni walking onto the field during ongoing IPL after a no-ball was called and then overturned in the 20th over of the CSK innings against Rajasthan Royals in Jaipur on Thursday created an uproar with all and sundry questioning the skipper’s action. 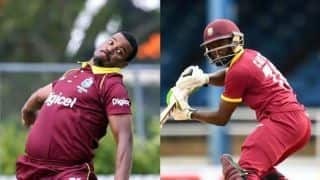 But speaking to IANS, sources in the know of developments revealed that it was on the word of leg-umpire Bruce Oxenford that the match referee — Prakash Bhatt — decided to keep the sanction to just the deduction of match fee. While the umpire might have understood that the reaction came at the heat of the moment, it didn’t go down well with former cricketers who felt that it painted a really bad picture. Former Australia pacer Shaun Tait also lashed out at Dhoni. “You don’t walk onto the field. 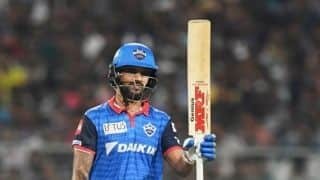 It’s not village cricket or U-10 cricket — this is the IPL. “You’re a player. I think Dhoni sometimes forgets that he’s a player. You’re not an official, you’re a player, and you can’t control the officials. It was a really bizarre look,” Tait said. 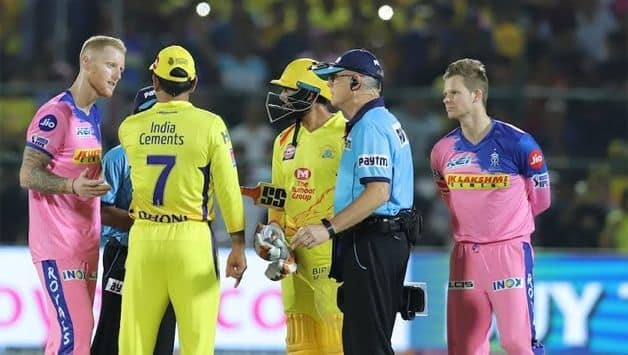 While Dhoni has been criticised by the former players, this isn’t the first howler that has come from the Indian umpires in this edition of the Indian Premier League.